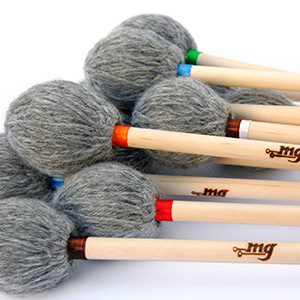 Very often it's difficult to buy mallets on the web only basing by the picture, so risking to buy a different product than that you desired. 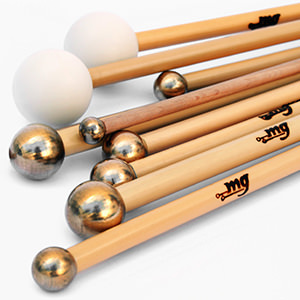 For this reason, Mg mallets has devised a system able to describing each mallet in all its features, helping you to define the characteristics of the product. In the technical description of every product you can find a chart that shows HARDNESS, TIMBRE and WEIGHT parameters, comparing them to a numerical scale from 0 to 100. 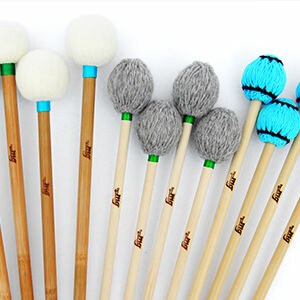 More high will be the number, more the mallet will be hard, brilliant and heavy. It's important to consider that the number “50” corresponds to the medium characteristics. 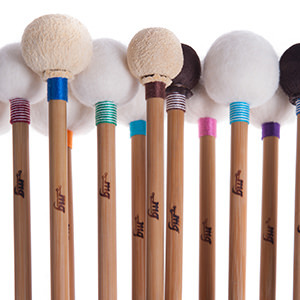 The identification of the mallets in terms of sound is the most important factor, which is why we have recorded audio in high quality for each model. 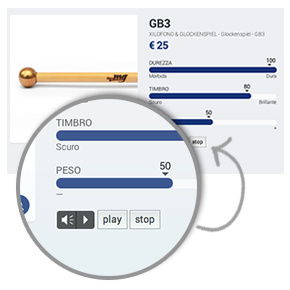 This audio recording is available in every product page. 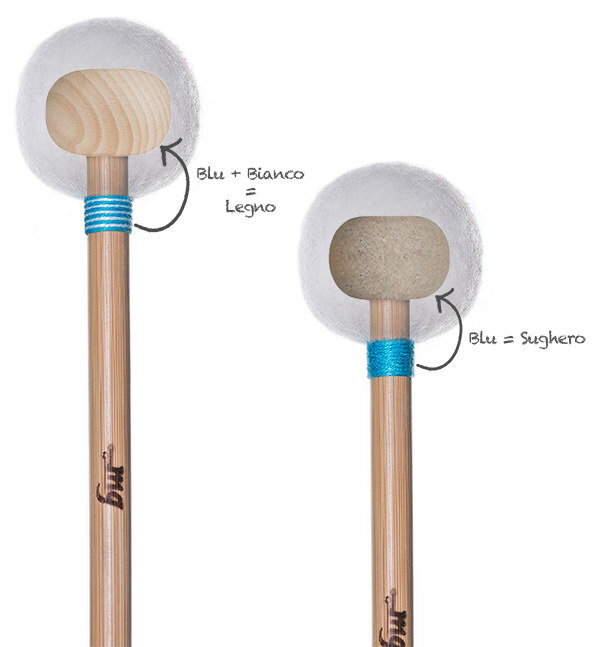 Just click the Play button to start playing, listening to the sound characteristics and choose mallet suit you perfectly! 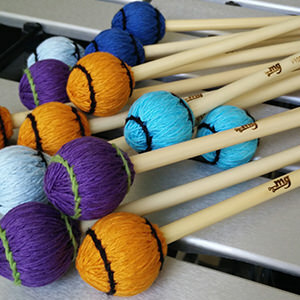 Each mallet is marked by a colored marker. 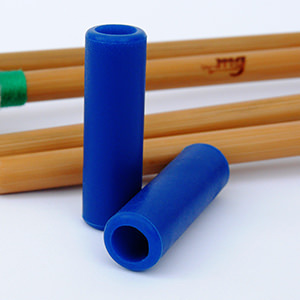 This indicates the material used for the inner core of the head.